Jordan Downey' trashterpiece shocker, Thankskilling is a cult classic; renowned for its dumpster diving humor and absolute insane premise. His latest feature, The Head Hunter evolves his horror comedy style by infusing it with a disquieting sense of dread and bereavement. A prolonged chamber piece involving one character, this is a remarkable endeavor, featuring an outstanding lead performance, ominous visuals, and a plethora of genre homages. 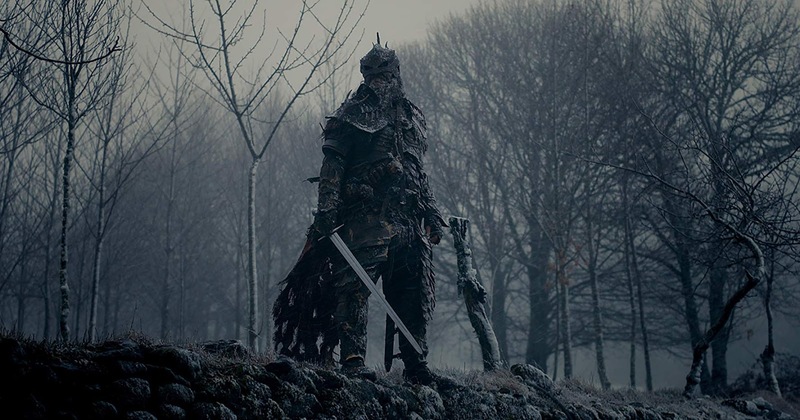 Father is a hunter, a slayer of vicious supernatural beasts that plague a frigid medieval countryside. He spends his existence waiting to be summoned into the fray, desperately hoping that one night he will finally face the creature that murdered his daughter. Downey and Kevin Stewart's tight script clocks in at a lean 72 minutes, and almost no second is wasted. While there are several prolonged scenes of Father's daily routines, they serve as a foundation by illustrating the life of torment that has enveloped the protagonist. Christopher Rygh's embodiment of Father is one of the year's best performances thus far. Carrying an entire narrative solo is an admirable feat, let alone in a horror film in which the character is in almost every frame. There are moments of humor and heartbreak sprinkled throughout and Rygh's understanding of the content and character ensure everything works. Stewart also lensed the film, following Father through darkened forests and perilously cramped caverns. The confrontations are the best part, as Stewart wisely obscures the bulk of the creatures, allowing the mind's eye to conjure horrors in the dark. While this is a side effect of budgetary limitations, it allows ample time for a buildup, culminating in Father's final confrontation with "The Head", the result of which will have Evil Dead fans clamoring for more. The creature effects are limited, but this a badge of honor that Downey displays with pride. 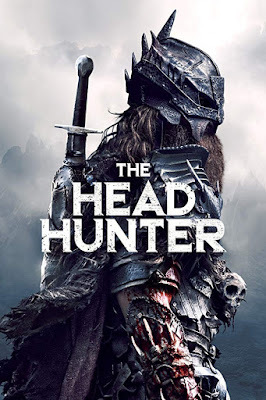 Comparisons to Skyrim are unavoidable, given the snow-covered environs and Andre Bavin's Viking-esque costume designs, and yet, everything about The Head Hunter feels lived in and used up, imperfect symbols of a world undone by darkness. Now available for digital streaming, The Head Hunter is pure horror bliss. Aficionados will find much to treasure in this small, nasty package. While the heart of the story is definitely an endurance test, the payoff is worth the ride, as every culminates in well-earned, shocking bloodshed. If you're looking for something fresh amid the sea of endless horror throwaways, this is the one.